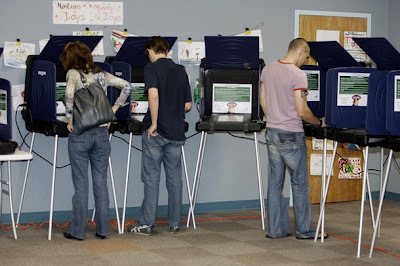 Here is a collection ‘Ballot Boxes And Electronic Voting Machines From All Over The World’ from around the world. 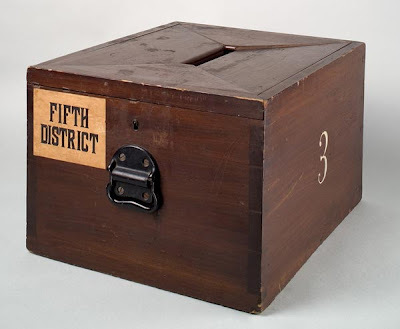 A wooden ballot box used in the northeastern United States circa 1870. 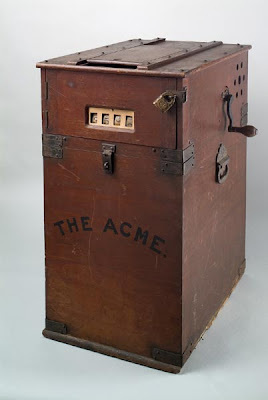 An Acme voting machine of Bridgewater, Connecticut circa 1880. 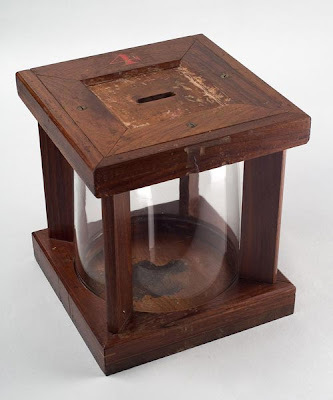 A glass globe ballot jar circa 1884. 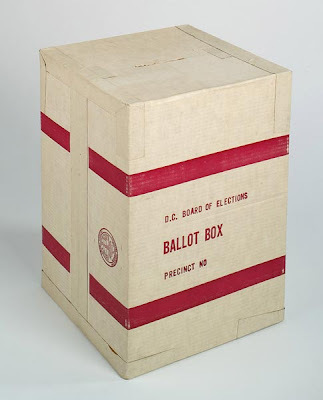 A cardboard ballot box used during the first federal vote in Washington, D.C.
A galvanized metal ballot box used in Tulare County, California United States circa 1936. 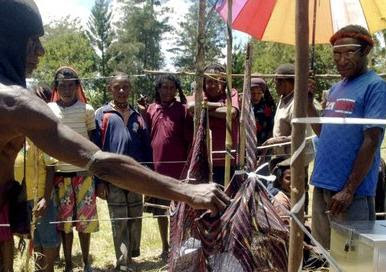 This ballot box is made of woven tree bark called 'Noken', a tribal man casts his vote in Jayawijaya, Papua province, Indonesia. 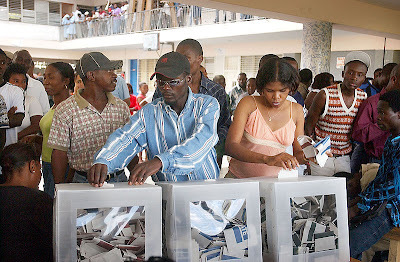 Clear sided ballot boxes used in the Haitian general election in 2006. 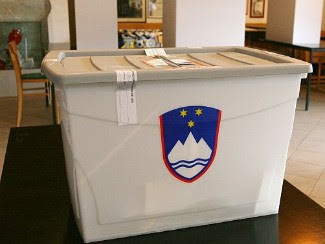 Since 1988, clear ballot boxes are compulsory in French political elections; this one is used in the 2007 presidential election. 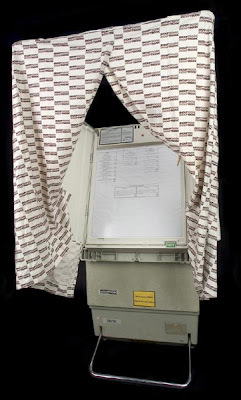 A voter putting his envelope into a clear ballot box during the 2007 French presidential election. 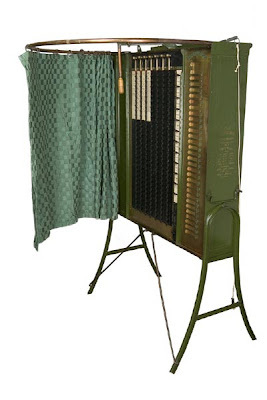 The Votomatic vote recorder, a punchcard voting machine originally developed in the mid 1960s. 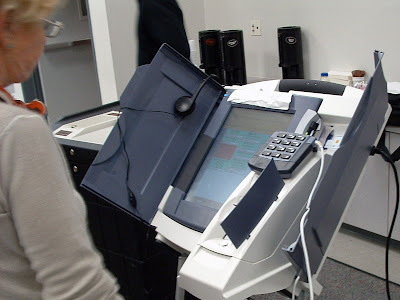 A voting machines used in Bladensburg, Maryland 2004. 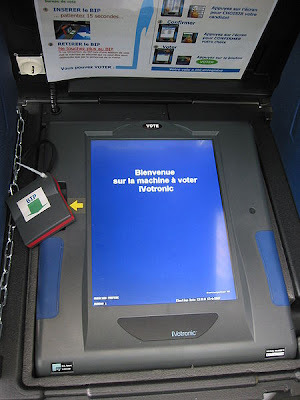 Voting machine to be used in Issy-les-Moulineaux during the 2007 French presidential election. 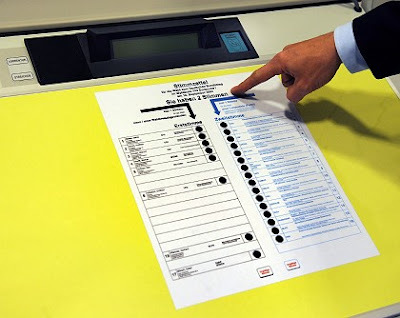 In Germany, electronic voting machines are designed to resemble traditional paper ballots. 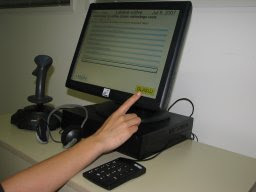 Electronic voting machine by Premier Election Solutions (formerly Diebold Election Systems) used in all Brazilian elections and plebiscites. 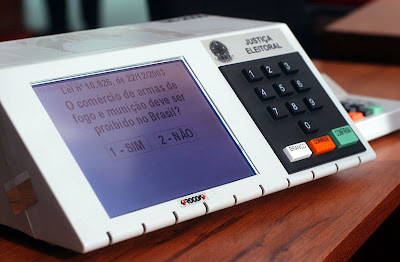 Photo by Agência Brasil. 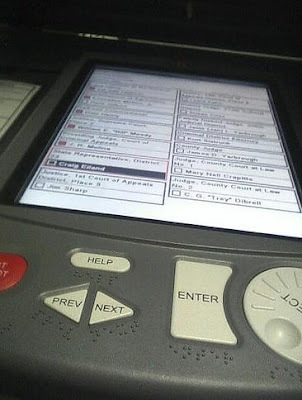 The Advanced Voting Solution's WINvote voting machine in Arlington County, Virginia. 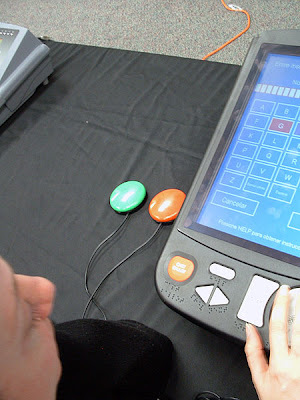 A voting machine specifically designed for disabled voters. 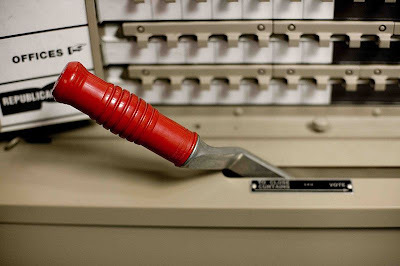 The famous lever of a lever voting machine still being used in 2008 in Kingston, New York. 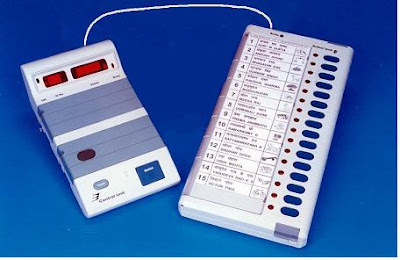 Similar to the lever voting machines is the electromechanical Shouptronic voting machine. 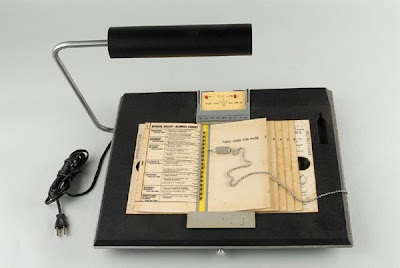 This model uses a dial to move the cursor from one position/candidate to another, (Texas). 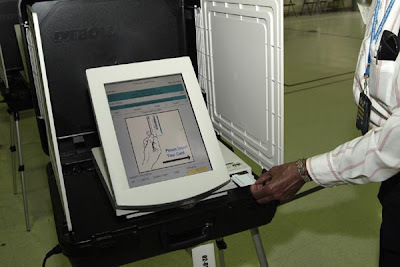 Voters cast their ballots on electronic machines, in Miami, Florida. 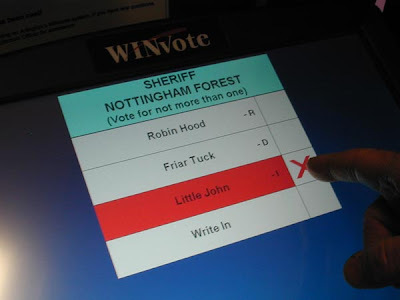 A Hart eSlate voting machine with jelly buttons. 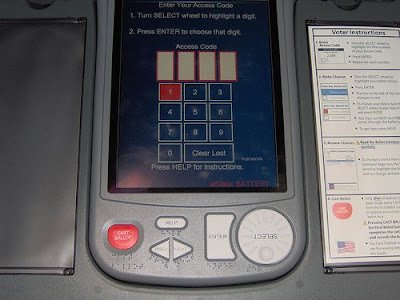 A Diebold Election Systems, Inc. model AccuVote voting machine with VVPAT attachment. 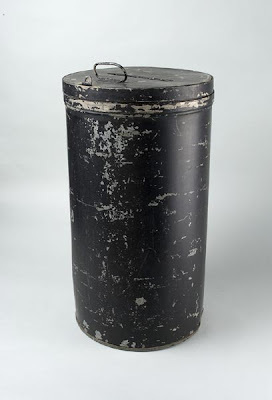 Other Source(s): 1, 2, 3.